There were some attempts to play chess by post in the 1920s and early 1930s, but no written games have survived. In 1940 three players from the Bulgarian National Team (OTB chess), Alexander Kiprov, Emil Karastoychev and Yury Benderev, organised a match-tournament among themselves, the games played by correspondence. So CC had been introduced to Bulgaria. After this first tournament, won by Al. Kiprov, some 18 years passed until CC could achieve wide popularity in the country. The main merit for that comes to the Shahmatna misl’ Magazine and to the editor in chief at that time Andrey Malchev. 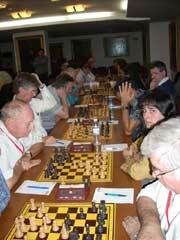 The Shahmatna misl’ Magazine became the organiser of the first regular in correspondence chess events. A match had been carried out between a team of readers of the magazine, many of them taking their first steps in CC, and the editorial staff of the magazine; the first individual championships had been started and thematic tournaments had been introduced. In 1948 a new Commission for Correspondence Chess was founded as part of the Bulgarian Chess Federation. This commission became the sole organiser of CC events in the country. In 1993, the Commission was changed to the Union of Correspondence Chess Players in Bulgaria (Sayuz na Korespondentnite Shahmatisti v Bulgaria), which is a fully independent organisation. The first national individual championship took place in 1961. The winner was Dr. Georgi Popov, the strongest Bulgarian CC player. The next places were taken by the pioneers of Bulgarian correspondence chess Alexander Kiprov, Stefan Mechkarov and Emil Karastoychev. Up to 2012, 46 national individual championships have been conducted. Only one player, Rumen Tashkov, has won the gold medal three times; three other players, Dobrotich Andreev, Konstantin Kostadinov and Ilja Hristov have won the title twice. National team championships have been organised since 1991. The Vratsa team won the first three championships. Many people have contributed to the development of correspondence chess in Bulgaria, but one of the most remarkable was Nikola Baharov. He was not a CC competitor but he devoted his life to the organisation, popularisation and development of CC in Bulgaria. Correspondence chess in Bulgaria also owes very much to Alexander Kiprov, who was for many years President of our Union and Delegate to ICCF for Bulgaria. For his great contribution to the development of CC, A. Kiprov and G.Sapundjiev was awarded the “Bertl von Massow” Medal in Gold. Other officers, N. Yuchormanski, A.Malchev and S. Sergiev have been awarded the “Bertl von Massow” Medal in Silver. Thanks to the efforts of President of BCCF Petyo Marinov ICCF Congress 2008 was held in Pleven in the period of 20-26.09.2008. The Bulgarian correspondence chess players had their biggest achievement in the final of the VII CC Olympiad where the Bulgarian team took 2nd place and won silver medals. The players for the Bulgarian team were 1. Dr. Georgi Popov, 2. Dobrotich Andreev, 3. Alexander Kiprov, 4. Georgi Sapundjiev, 5. Dimitar Karapchanski and 6. Petko Angelov. Dr. Popov achieved the best score on board 1 – 7 points out of 9. In that event, he won against World Champion Horst Rittner in a very beautiful game. D. Andreev and D. Karapchanski were also winners on their boards and received ICCF IM titles. The final of the VIII CC Ladies Olympiad earned second silver medal for Bulgaria. Only additional indicators separate Bulgarian team by title. Sabina Karapchanska achieved the best score on board 1 – 8,5 points out of 10. The Bulgarian team has played many international team matches, winning against the teams of France (twice), Austria, Italy, Cuba, Finland, Scotland, Sweden, Canada and Spain. 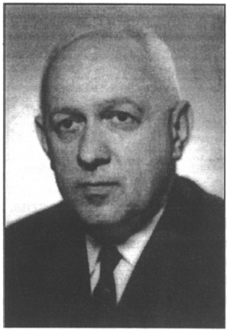 Remarkable successes in individual tournaments were the second place of Dr. Popov in the Semifinal for World Championship 1961-1964, the second place of Mladen Gudjev in the Grandmaster Invitational Tournament “Simagin Memorial” 1988- 1992, the second place of Nikolai Ninov (first Bulgarian played the Final of World Championship) in the Grandmaster Invitational Tournament “Lascurain Memorial” 1996 – 2000 and victory of Valentin Iotov in the Grandmaster Invitational Tournament Dr.Georgi Popov Memorial 12th Category 2010-2012. All four players have been awarded the ICCF Grandmaster title. 6 other players are ICCF Senior International Masters. 17 other players are ICCF International Masters. Bulgaria has three holders the title Lady Grandmaster title: Sabina Karapchanska, Svetla Yordanova and Margarita Bocheva. In 1990, in connection with the 50th anniversary of correspondence chess in Bulgaria, the Union of Correspondence Chess Players in Bulgaria organized two international CC tournaments. In 1994 an invitational tournament started, dedicated to Nikola Baharov. 1. A.Mikhaylov (RUS) 11; 2. M. Gudjev (BUL) 10,5; 3. A. Volchok (UKR) 10,5; 4. G. Nesis (RUS) 9,5; 5. I. Morozov (RUS) 9,5; 6. I. Minkov (BUL) 9; 7. D. Karapchanski (BUL) 9; 8. D. Konjevic (YUG) 8,5; 9. V. Petrov (BLG) 7,5; 10. W. Schlachetka (GER) 7,5; 11. E. Janosi (HUN) 5,5; 12. B. Atanasov (BUL) 2,5; 13. S. Bauk (CRO) 2,5; 14. N. Yordanov (BUL) 1; 15. Y. Gelemerov (BUL) 1. 1. I. Christov (BUL) 10,5; 2. K. Mosonyi (HUN) 10,5; 3. S. Sergiev (BUL) 10; 4. J. Kaltchev (BUL) 9,5; 5. T. Schmidt (GER) 8,5; 6. P. K. Petrov (BUL) 8,5; 7. D. Konjevic (YUG) 8; 8. S. Gubnitsky (UKR) 8; 9. D. Gerasimov (BUL) 8; 10. L. Parvanov (BUL) 7,5; 11. S. Dobsa (HUN) 6,5; 12. P. Darmogray (UKR) 4,5; 13. D. Godes (RUS) 2,5; 14. M. Shchebenyuk (RUS) 2,5; 15. V. Kosachki (BUL) 0. 1. E. Werner (GER) 13; 2. S. Mladenov (BUL) 11; 3. S. Spasov (BUL) 9,5; 4. I. Firnhaber (GER) 9,5; 5. P. Darmogray (UKR) 8,5; 6. I. Popov (BUL) 8,5; 7. W. Sauermann (GER) 8,5; 8. S. Vankov (BUL) 8; 9. S. Sergiev (BUL) 6; 10. 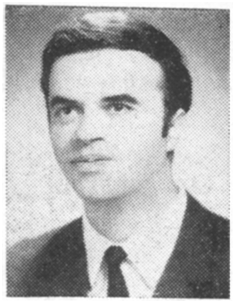 Dr. M. Milovanovic (YUG) 5,5; 11. R. Kolesnikov (UKR) 5; 12. T. Kirkov (BUL) 5; 13. L. Fotev (BUL) 4,5 14. P. Gandev (BUL) 2,5; 15. J. Pöcksteiner (OST) 0. After a nearly 20 year stand still BCCF with active partnership of Simeon Vinchev organized six GM tournaments. At the end of 2012 two new tournament began – Alexander Kiprov Memorial and the strongest tournament ever organized in Bulgaria 70 years Correspondence Chess in Bulgaria – 13th category!